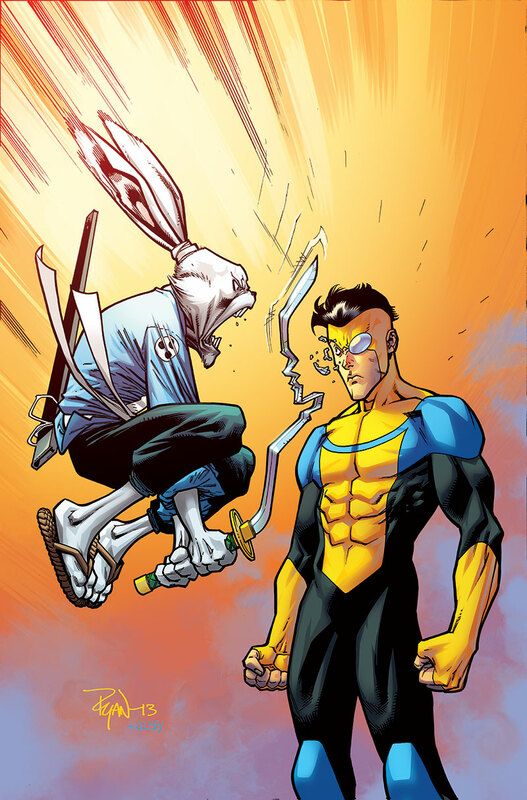 ¿Se imaginan una pelea tan desigual entre Usagi e Invincible? Una probadito de esto nos la brindan los artistas Ryan Ottley y Kelsey Shannon. Aunque dependiendo del escritor, ésta podría resultar en una historia muy divertida. Could you imagine an unpaired match between Usagi and Invincible? A little sample of this is presented by artists Ryan Ottley and Kelsey Shannon. Anyway, depending on the writter, this could be a very entertaining story.